The Adventures of Mike and Pat! 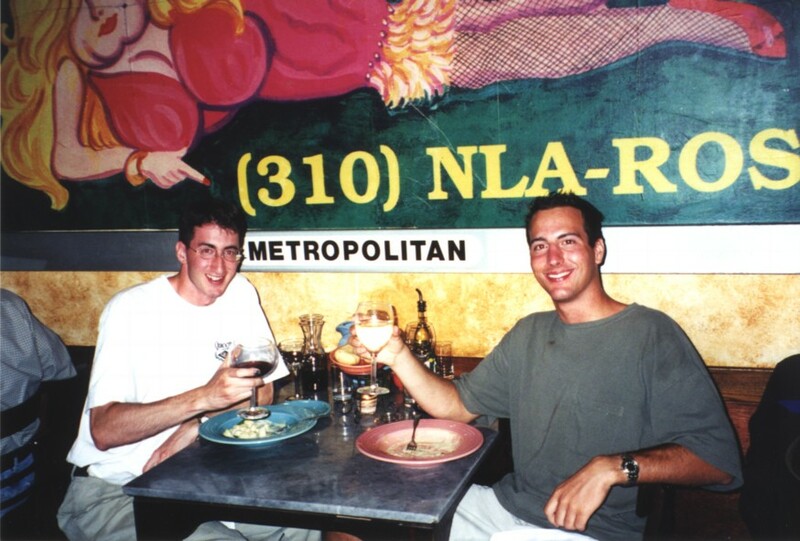 June 1999 at the Stinking Rose in San Francisco, CA. Yes, we have been drinking. Pat seems to have a thing for Grappa! 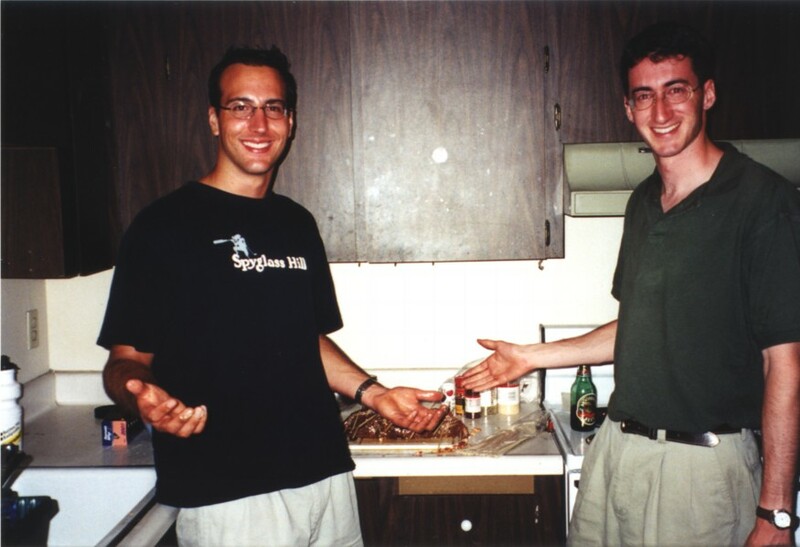 June 1999 and in preparation for the "New Millenium" we decide it's time to learn how to cook:-) Notice the Stuffed Flank Steak! That one we saw on a cooking show! 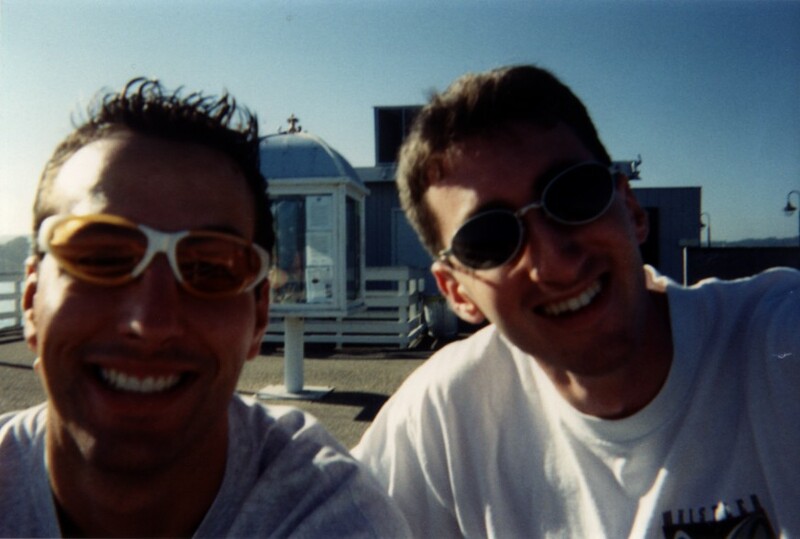 June 1999 on the Wharf in Santa Cruz, CA. Yes, Pat took that picture himself by holding the camera at arm's end. Yes, we are amazing! 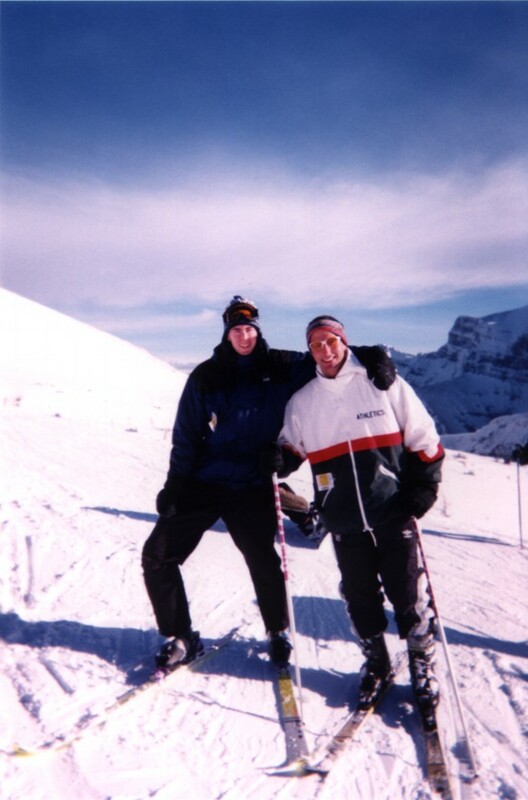 December 1999 in Banff, Alberta. More hugging than anyone ever needs to do on a ski hill when there are no Ski Bunnies involved!